“Graffiti demands attention but resists reading,’ says Caitlin Bruce in this riveting book, which, nonetheless, ‘reads’ graffiti as network, art, encounter, circulation, media, and more. In critical dialogue with Jacques Rancière, Édouard Glissant, Raymond Williams, and the counterpublic literature, Bruce positions herself where ‘urban texture’s weave is loose’ and shows how public art activates scenes of sensation in contexts of urban citizenship both national and transnational. Painting Publics is a joy to read.”—Bonnie Honig, Nancy Duke Lewis Professor of Political Science and Modern Culture and Media at Brown University and author of Public Things: Democracy in Disrepair. 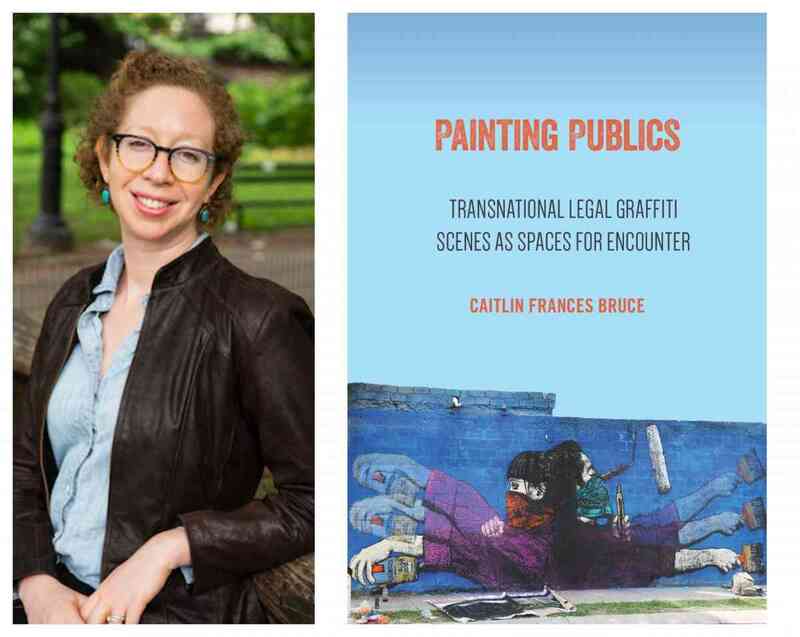 Caitlin Bruce discusses Painting Publics: Transnational Legal Graffiti Scenes as Spaces for Encounter. She will be joined in conversation by Ralph Cintrón. A Q&A and signing will follow the discussion. About the author: Caitlin Bruce is Assistant Professor of Communication at the University of Pittsburgh. Her research explores public art, urban space, affect, and critical theory. She is also affiliated with the Center for Latin American Studies, Gender Sexuality and Women's Studies, Center for Health Equity, and the Cultural Studies Program. About the interlocutor: Ralph Cintrón is Associate Professor of LALS and English. He holds a joint appointment in English and the Latino and Latin American Studies Program. His research and teaching interests are in rhetorical studies;ethnography, particularly urban ethnography; urban theory; theories of transnationalism; political theory, particularly the anthropology of democracy; and social theory.